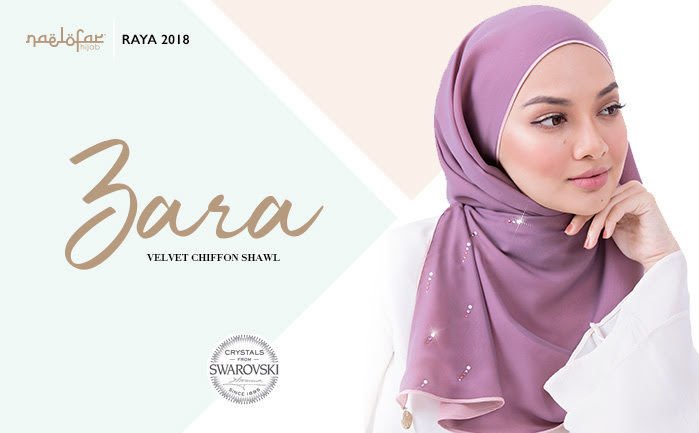 We named our next collection Zara because Zara or Zahra means bright, shining and brilliant in Persian, which is the perfect name for a design featured the this year's theme of #ShineOn. We love giving different options to our fans and this new design differs from our previous designs due to its versatility and flexibility. 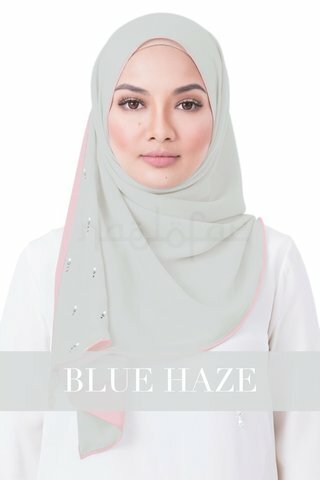 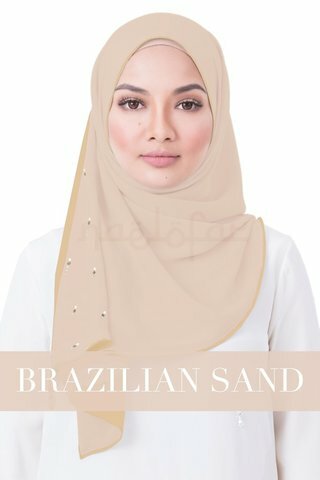 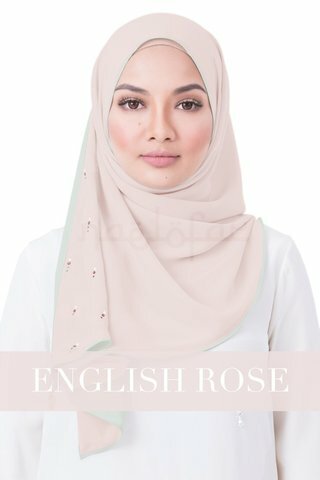 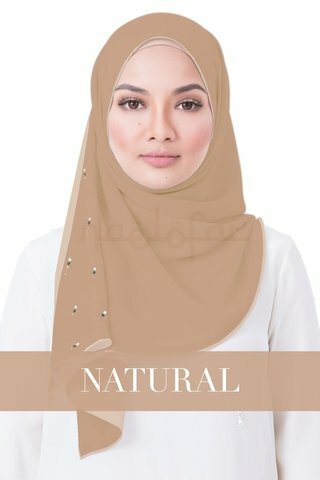 Zara is a rectangular shawl with a triangle at one end, it has two layers, one side plain and another side embellished. 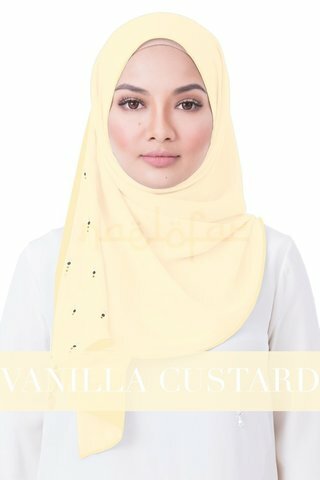 It's a reversible hijab so you can alternate between the two sides depending on what outfit you pair it with. 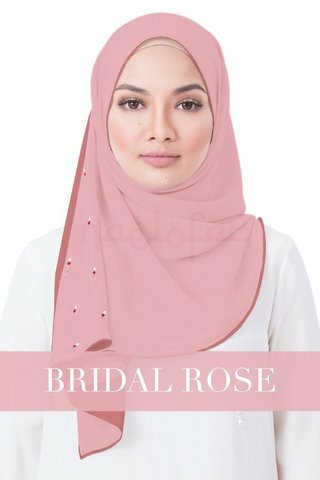 The embellished side of Zara features colourful crystals combined with white pearls to produce a design that is elegant and glamorous. The signature Naelofar Hijab circle plate dangles at one end of Zara to help weigh it down so it stays in place when you put it on. 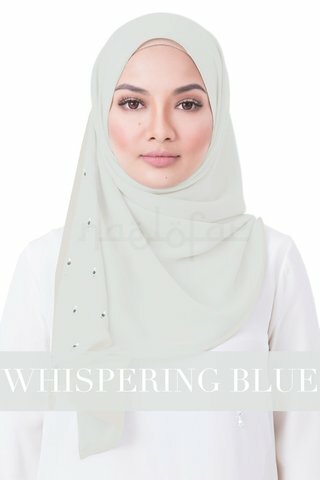 The double layers of smooth Velvet Chiffon and minimal embellishments make Zara an impeccable addition to your closet, it ticks all the right boxes and you can wear it to any Iftar or Raya event for a polished look that will impress anyone who sets their eyes on you.